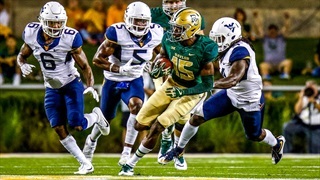 See where media outlets are predicting the two former Baylor stars to land, what round they could go in, and what their strengths and weaknesses are heading into the start of the NFL Draft on Thursday. 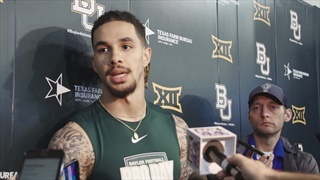 Jalen Hurd, Jalan McClendon, Greg Roberts, and Derrek Thomas spoke to the media today following their performances at Baylor's Pro Day. 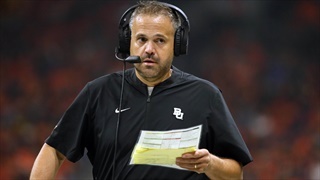 Coach Matt Rhule also talked to the media after. 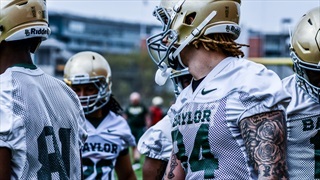 SicEm365 will be out at Baylor's Pro Day Tuesday covering the athletes as they go through drills and testing to impress NFL scouts. 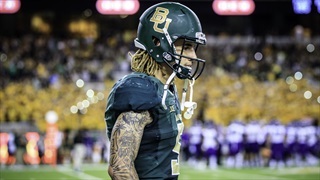 Jalen Hurd is a projected middle-round pick in the upcoming NFL draft, which gives Baylor fans a reason to keep an eye on the former Bear over the next few weeks. 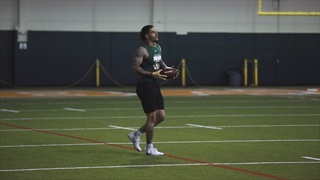 Baylor seniors Jalen Hurd and Derrek Thomas have been invited to workout at the NFL Scouting Combine later this month. 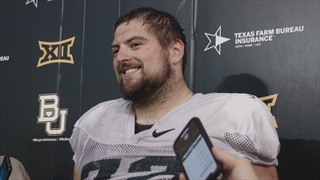 Which players could make the jump in 2019 to become a productive player on the roster. 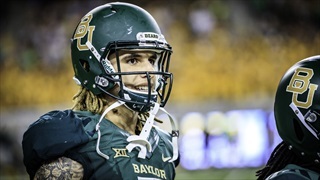 SicEm365 has confirmed a report by ESPN’s Jake Trotter that Baylor senior wide receiver Jalen Hurd will miss the Texas Bowl against Vanderbilt after knee surgery. 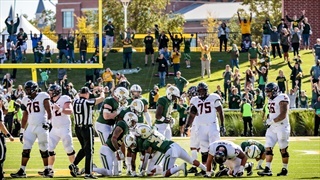 As Baylor is set to face Iowa State in Ames on Saturday, if anything but the task at hand is the focus of the team, everything learned in the first nine games of the season will be for nothing. 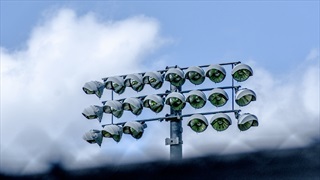 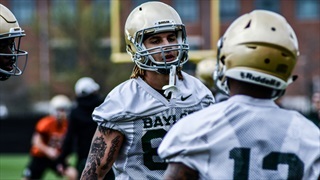 Three Baylor players talked to the media following practice on Tuesday. 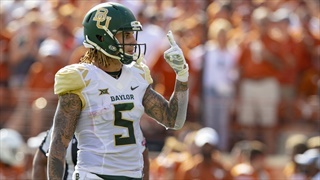 Jalen Hurd named Big 12 Newcomer of the Week, Clay Johnston Defensive Player of the Week. 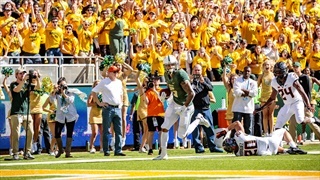 The senior leads the Big 12 in receptions. 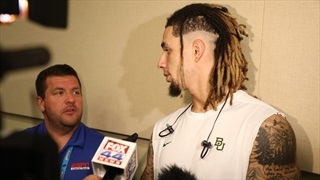 Baylor head coach and several player spoke with the media following the Bears victory over UTSA on Saturday evening. 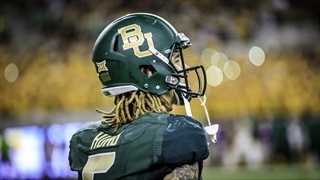 Baylor wide receiver Jalen Hurd and running back JaMycal Hasty spoke with the media on Saturday evening follow Baylor's 55-27 victory over ACU at McLane Stadium. 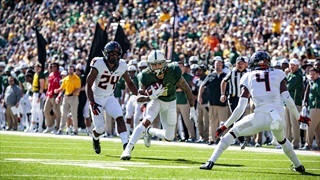 Jalen Hurd's first touch in a game this season might be the most anticipated play of the entire 2018 football season for Baylor fans. 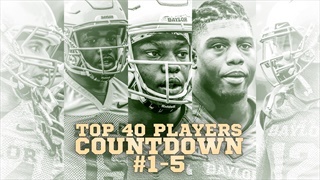 Less then two weeks until the season, we conclude the top 40 players countdown of Baylor's 2018 football roster with what I consider the top five Bears on the team. 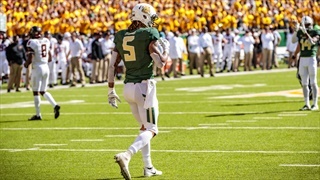 According to Steve Lassan of Athlon Sports, Baylor's wid receiver group is considered among the best in the entire country and the close to the top of the Big 12. 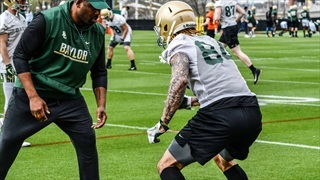 Baylor co-offensive coordinator and running backs coach Jeff Nixon praises back-turned-receiver Jalen Hurd and the ability he has on the football field. 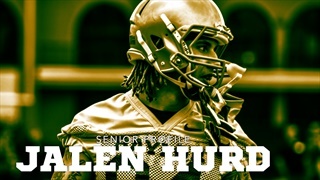 Matt Hayes of Bleacher Report feature article on former Tennessee running back Jalen Hurd and now Baylor wide receiver Jalen Hurd opens eyes as to why it was such a big edition for the Bears in 2018.